What are the CGT implications of transferring my property in the name of the Guernsey based company? If I transfer my property in the name of the Guersney based company what are the stamp duty or tax problems? a) If the property is worth more now than when you originally acquired it, then the uplift, gain or profit (whatever you want to call it) will be subject to tax, most probably capital gains tax. b) If it is your personal company, so that you are connected to it, then the company will have to pay stamp duty land tax on the transfer according to the present market value of the property. 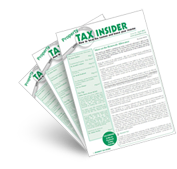 This can be seen on http://www.hmrc.gov.uk/manuals/sdltmanual/SDLTM30220.htm.